Selling t-shirts at events and conferences is a great way to grow your brand and build relationships. If you’re not prepared though, you might not be getting the most out of the conferences you attend. After partnering with a ton of small and large conferences over the years, we’ve learned quite a bit about what it takes to make conferences and events well worth the investment. 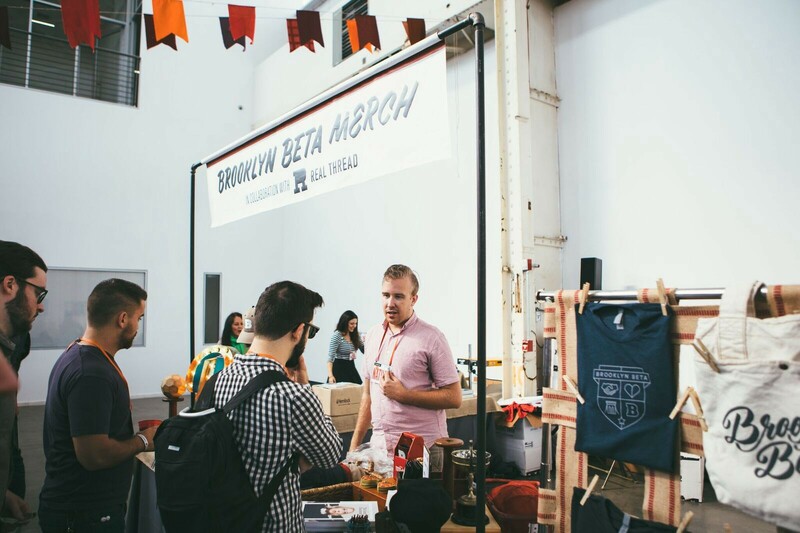 We want you to achieve your conference goals by selling as many t-shirts as possible, so here are our best practices for selling t-shirts at events and conferences. If you’re going to spend money showcasing your clothing line at an event, you need to choose the right events for your brand. Costs of exhibiting, booth setup, flights, shipping, hotel stays and food can add up, so make sure the value in return is worth your investment. 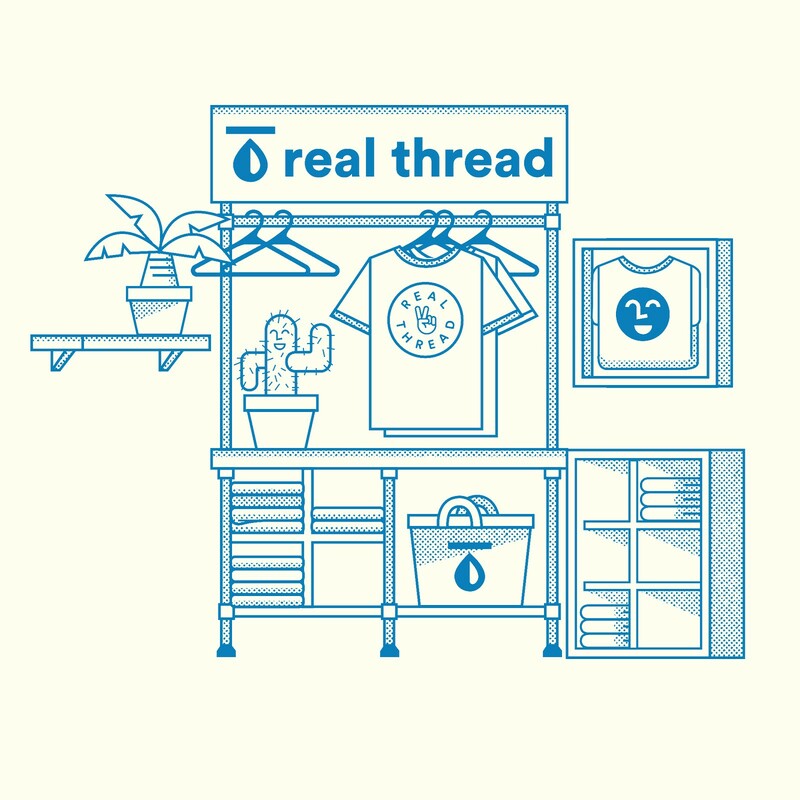 If you’re just starting out selling t-shirts, attending local events while you grow your brand and learn what works is a great place to start. Make sure you focus on your niche or target audience. For example, if you’re selling running shirts, attend local running events. Finding people that can connect with your brand and your t-shirts is key. When you sign up to be a vendor at an event, you‘re going to receive a lot of information from the event organizers. Slow down and take the time to read through it all. The exhibitor manual will become your vendor lifeline. It will include information about setup, breakdown, space requirements, electricity, carpet, internet, advance shipping and more. Crazy enough, we’ve actually encountered certain events where fliers were prohibited. If this is something you didn’t know in advance, and you spent time designing, printing and paying for fliers specifically for that event (like us), you’d be out a lot of money, not to mention how much valuable time was lost in the process. It could be worth reaching out to past vendors to learn from their experiences about what worked and what didn’t if they are willing to share. Any insight you can gain is valuable to your business. When setting up your booth, make sure you take advantage of all the time you’re given for setup. Even with a packing list, it’s easy to miss something. If you’re not making at least one run to the store to pick up odds and ends, you’re a packing master and we need to hire you ASAP. For everyone else, make sure you give yourself plenty of time to prep and order all of your booth needs, especially for must-have items like pens, business cards, tape, hangers, and of course the t-shirts you’ll be promoting and selling at the event. If you are ever in a bind though and need your shirts fast — check out our Lightning Service and have your shirts in 2 days! We’ve always got your back. It also might be worth setting up a dry run of your booth to make sure it’s exactly what you want it to be. Before any events we go to, we create a digital mockup of how we want our booth space to work. It not only helps us decide what to bring, but it also shortens our setup time because we know what we’re doing once we get there. Your booth is your sales pitch! When people visit your booth, what do you want them to remember? Booth branding includes your logo, colors and messaging, but it also includes your customer’s experience. 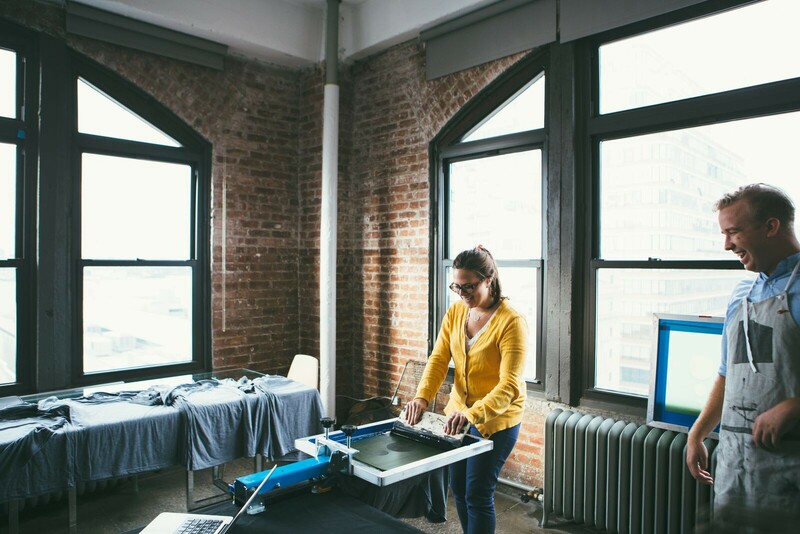 Even if your booth’s primary purpose is to sell t-shirts, you can still create a memorable or interactive experience that they can walk away with. We’ve seen a booths draw tattoos on people with Sharpies, give haircuts, or even set up a giant ball pit— and guess who’s lines were full of excited people? Booth experiences are becoming a regular requirement to attend an event as a vendor. Recently while viewing the vendor requirements for a larger conference in Chicago, they actually ask for more information on your booth experience and what interactive element will be brought to the show. In short: booth experience is becoming less of a bonus and more of a requirement. Make sure you’re keeping up. Another important factor to discuss are the payment options available to your customers. How are you checking people out? Is the process easy? What’s the cost of your shirts in comparison to your competition? And if you run out of t-shirts to sell, have a backup plan. Be prepared to take orders on the spot so you don’t lose customers. Make sure you’re keeping inventory of all your purchases at the event so you can know how much money you made, and how many shirts to order for next time. Placement of your booth is another factor that could effect your sales, which is why we nested these two together. It’s important to be near heavy foot traffic. Sometimes, especially if you’re new, choosing your booth location isn’t an option, but if there’s an option to be near walkways, entrances, or even next to other large attractive booths, take it. Yes, invest in your booth space, but make sure you’re investing in your time at the conference too. Events like after parties, happy hours and welcome parties are clutch for building relationships. People have their guards down and they are ready to make friends. 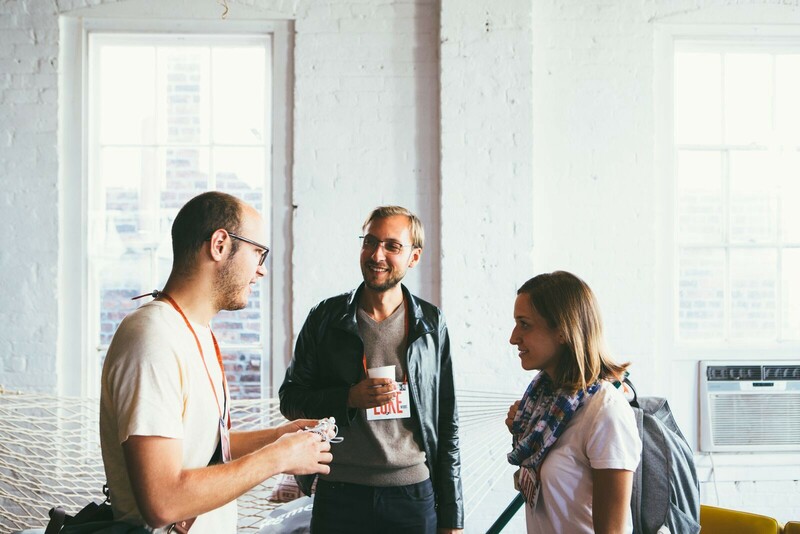 Spend time developing real relationships with people at conferences. This might not immediately turn into sales, but some of your biggest fans/friends will be your biggest and best promoters, so be genuine. Being fully prepared by researching events, knowing your options as an exhibitor and creating an engaging space is step one in setting your booth up for success. Your audience will be excited to visit your space and t-shirts will be flying off the shelves.